In addition to the extra, smaller, quicker tidbits I want to start bringing into KoHoSo.us between when I have the time, motivation, and inspiration for my usual eye-watering rants, there’s still that second go-around on the Radio links project to finish. Well, that’s what happens when you get stuck living, albeit temporarily, in a house where there is no joy or intelligence. Scenes like that sap all of my creative juices not to mention general will to live. Now that life at the Possum Lodge, Fontucky Chapter is occasionally getting into a few regular routines, spending a day or two every week looking for any good radio stations I missed on my first round of this project is much more likely. Before I went into complete mental preservation mode during my stay in Upland, I did add five very good stations to the Radio page. I know that one intrepid reader has already discovered them but, for everybody else, let me give them all a quick highlight. Click on the logo to visit the KYSL Krystal 93 website. KYSL “Krystal 93” is the only commercial station in this batch but it’s a pretty good one. Transmitting out of Frisco, Colorado and serving the beautiful mountain communities west of Denver along Interstate 70/Old US Route 6, this is a very new-artist-oriented version of the “adult alternative” format. 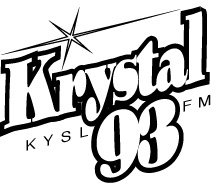 While a commercial station, Krystal 93 is highly community-oriented and doesn’t force its disk jockeys to browbeat listeners with constant promos and useless drivel. This station is a prime example of what I mean when I talk about how a radio station can really give one a good sense of what the community is like without actually being there. That can be both good and bad in KYSL’s case as, sometimes, things can seem a bit snooty as they cater to the very affluent segment of the local population (this station serves places like Vail…’nuff said). However, I don’t find it too overbearing and at least the rich folks in this area of Colorado tend to not be insular and uncaring as in so many other rich cities and towns elsewhere in the country. If one tends to like this type of format, I definitely recommend trying it out for at least an hour or two. 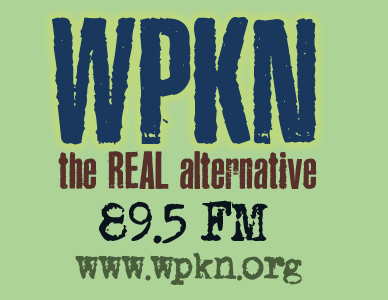 Click on the logo to visit the WPKN website. WPKN is a community/variety station broadcasting out of Bridgeport, Connecticut that also serves New Haven (home of Yale University), Danbury, and much of the southwestern portion of the Nutmeg State. This station takes a poke at commercial radio in North America by tagging itself as “The REAL Alternative” as opposed to the many repetitive commercial “alternative rock” stations that haven’t broken a new artist in goodness knows how many years. While it might seem on the surface that WPKN has a very typical lineup of shows for this type of station, in my opinion the hosts all seem to be of exceptional quality and dig much deeper to find things to share that others miss. It is this unique quality of programming that I find makes up for what is occasionally a tinny online stream. Click on the logo to visit the WVFS website. WVFS is the first station form the Sunshine State to make my list as it comes from the campus of Florida State University in the capital city of Tallahassee. While FSU’s famous Seminoles football team hasn’t been winning as much lately as it used to, WVFS has been consistently “Defeating evil since 1987.” While often derided as an “easy” school (mostly by jealous in-state college rivals), I find the hosts on this station to be some of the best as well as most intelligent and well-informed of any true college/variety station. It definitely has a younger bend to the music (as any good college station should) but there is plenty of variety that will please almost any music fan for a couple of hours at least once per day. In addition, WVFS obviously has one of the best station logos in use today. 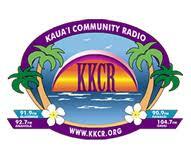 Click on the logo to visit the KKCR – Kaua’i Community Radio website. We now head off to the beautiful Hawai’ian Islands for KKCR – Kaua’i Community Radio. While certainly having a focus on the many strains of local Hawai’ian music, there is plenty more to listen to every single day on the schedule. Bluegrass in Hawai’i? Yes…bluegrass in Hawai’i…and so much more, all lovingly presented by a wonderful stable of announcers. Some might also like knowing that they might be listening to this station as the very same time as Kaua’i resident and KKCR supporter, Bill Kreutzmann. Click on the logo to visit the KTUH website. The final station for this update keeps us in Hawai’i but hops over to the island of Oahu. KTUH broadcasts in Honolulu from the campus of the University of Hawai’i. The impression I get whenever I listen to this station is that it makes sure its hosts have no fear when it comes to the styles of music they program. They seem to be very good at digging deep and not having a problem with being varied even within the same show and the genre it is supposed to present. 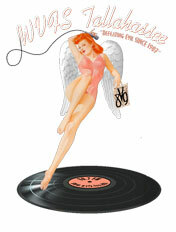 For college-style music, this is a very proud and independent outlet that is well worth checking out. Before I go, one final sad note. I would like to acknowledge the passing of a great, long-running over-the-air station…a shocking loss as it is in a city where the radio was once the greatest in all of North America and even more shocking as it was a college station. Sadly, the dean of the University of San Francisco (a Catholic college) took money over the service his institution provided to his community. In a three-way deal that also involved Entercom (a US radio conglomerate) and, of all insulting things to the Bay Area, the University of Southern California located in Los Angeles, they sold the city’s beloved KUSF which was then basically turned into a repeater of KUSC in LA playing the most boring classical music playlist known to humankind (and, remember, I like classical music). Possibly worst of all was that the college and community staffers at KUSF were given no warning of this impending sale. They were all told to leave one morning at 10:00 a.m. and then the doors were locked leaving only a couple of engineers inside working on pumping in the feed from USC. While I still have not gotten to the story I promised to tell long ago about how exactly both college and non-commercial radio in the United States of America is becoming corrupted by commercial influences (plus hemmed in by neo-conservative crackpots in our government and media), this loss of a good, independent, and locally-programmed station for glorified Muzak being pumped at them from LA (or anywhere) simply for the sake of one big check to satisfy somebody’s ego or to remove a thorn in some politician’s or businessman’s side is part of the picture I want my readers to start seeing. After all, is anybody going to seriously tell me that anything connected with the Catholic Church is truly short on cash? Posted in Media, RadioBookmark the permalink.